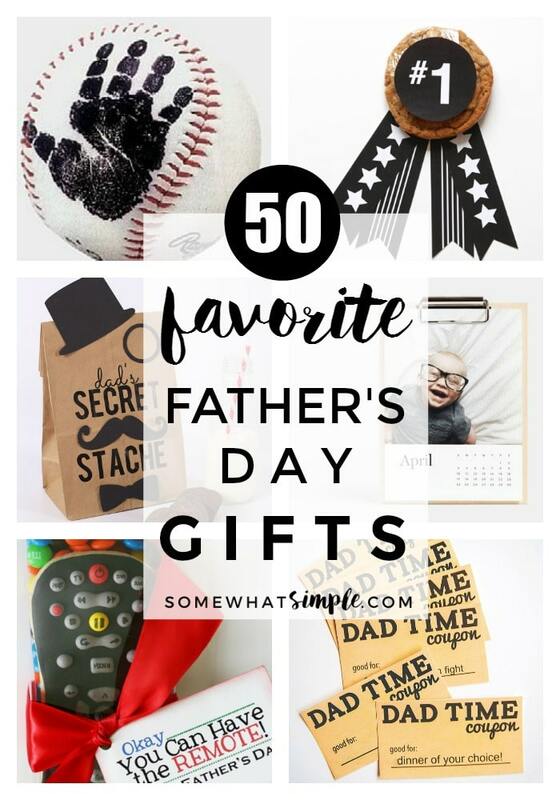 So many Father’s Day ideas all in one place! 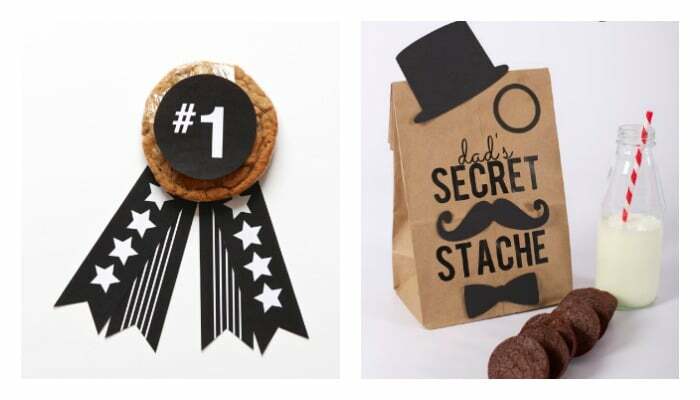 Here are 50 of our favorite Father’s Day Gift ideas that sure to make him feel extra special! 1 || Slipper Gift with Goodies, from Pretty Providence. 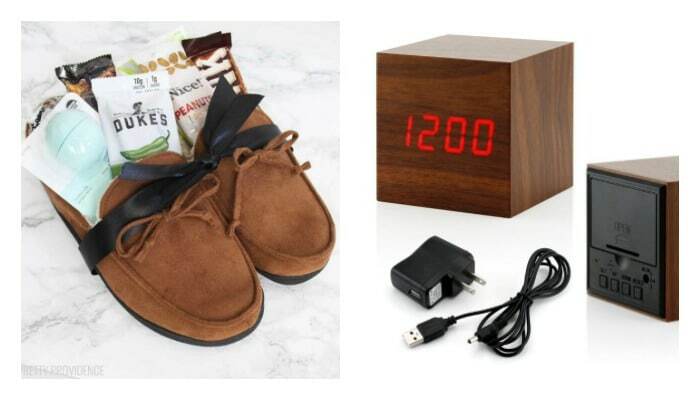 Fill a new pair of slippers with some of his favorite things. 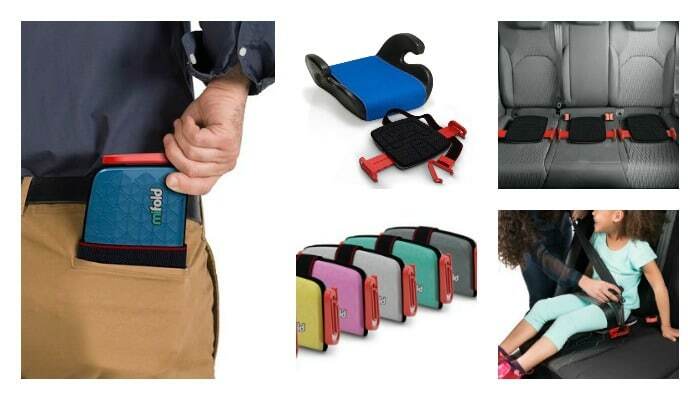 3 || mifold grab and go booster seat. (Yes, this is a BOOSTER seat!) It is pocket sized, but meets booster safety regulations for USA, Europe and Canada for kids 4 and up. Instead of bringing the child UP, this seat is designed to bring the car seat belt DOWN to fit comfortably snug on the child’s shoulder. No more bulky booster seat transfers from one car to the next – the mifold is perfect to take on vacations, and perfect for dad to keep in his glove box! 4 || Travel Adventure Scratch Off Map. 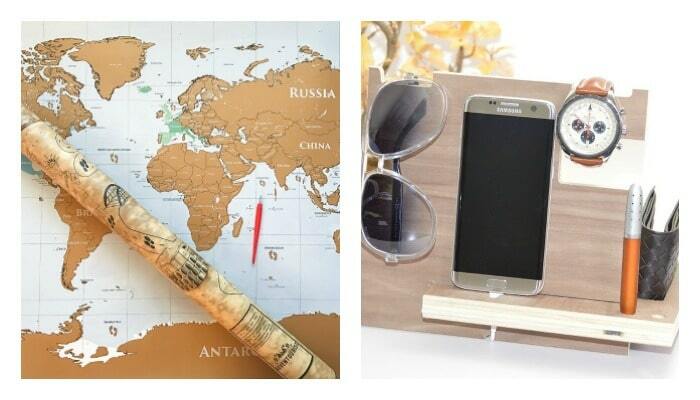 5 || Wood Phone Docking Station. 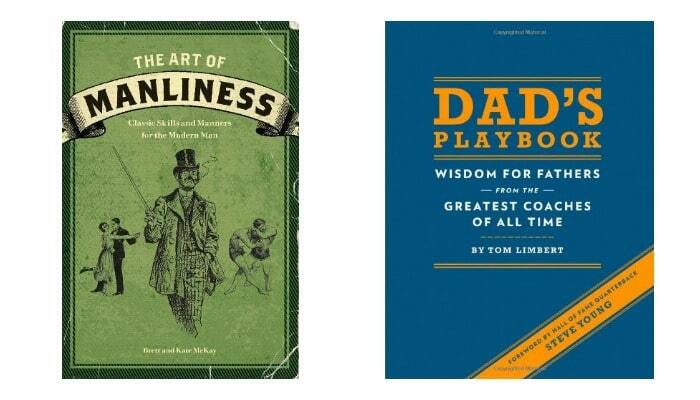 6 || The Art of Manliness. 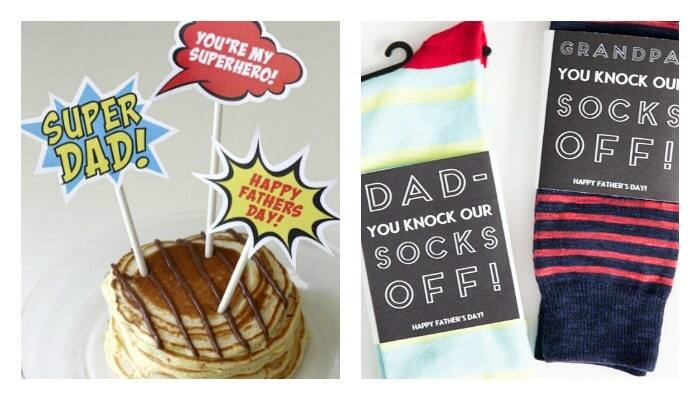 8 || Superhero Father’s Day Printables, from Catch My Party. 9 || You Knock our Socks Off, from So Festive. 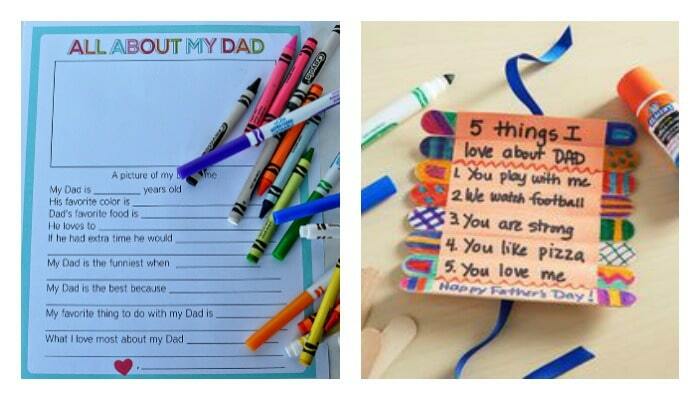 10 || The Complete Father’s Day Printable Set, for FREE! 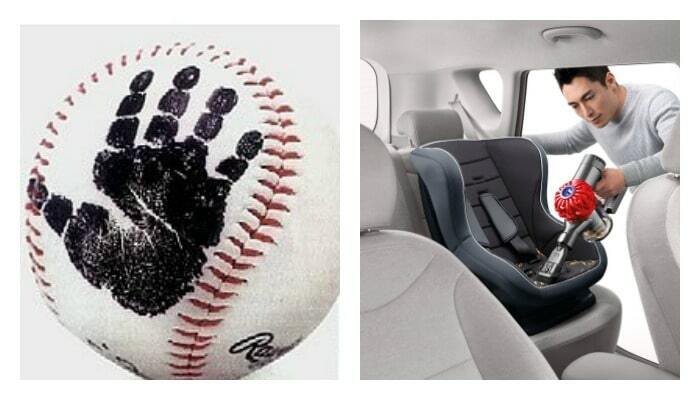 11 || Baseball Dads will LOVE this Baby’s First Handprint Baseball idea. 12 || First-time dads will be surprised at how often they’ll need a portable vacuum for the car seat! 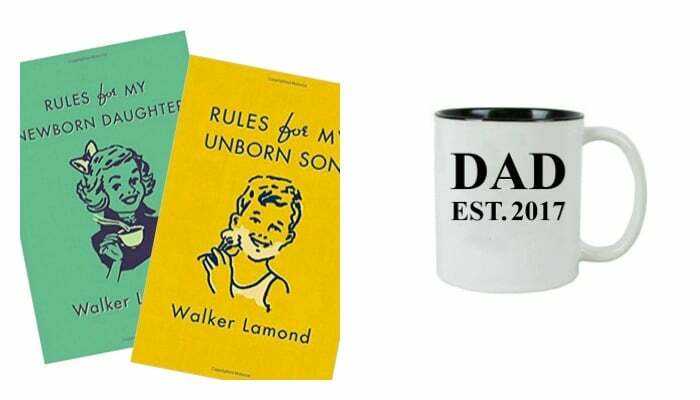 13 || Two books with humorous and traditional fatherly advice, Rules for My Newborn Daughter and Rules for my Unborn Son. 14 || Purchase or make a Dad established. Mug, documenting the year their lives changed forever! 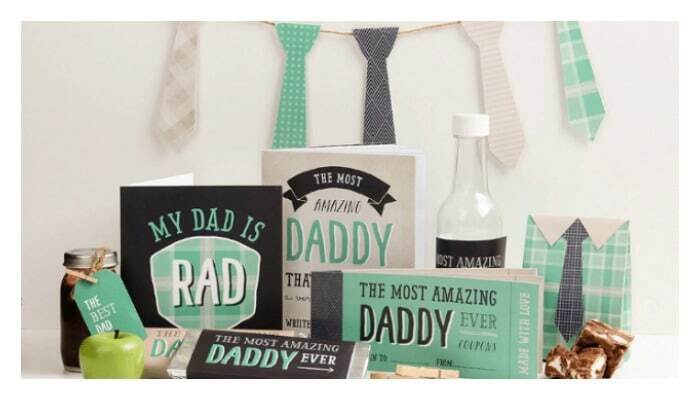 15 || Father’s Day Pop Up Card, from One Dog Woof. 16 || Dr. Who Bowtie Card, from Free Time Frolics. 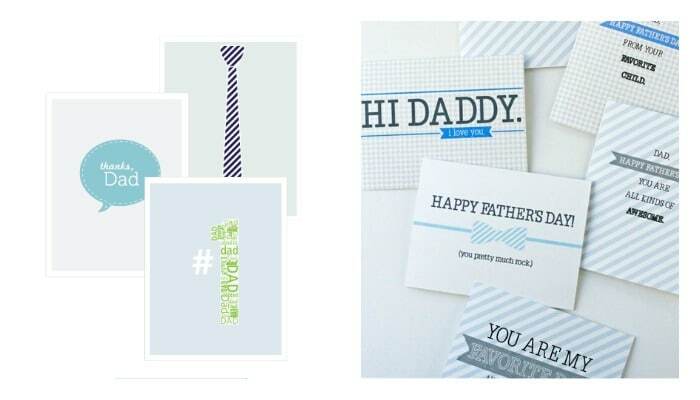 17 || Free Father’s Day Cards, from Thinking About Pretty. 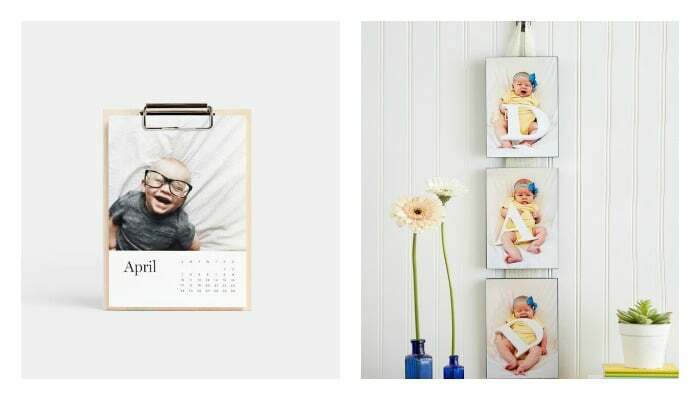 19 || Printable Coupon Book, from Botanical Paperwork. 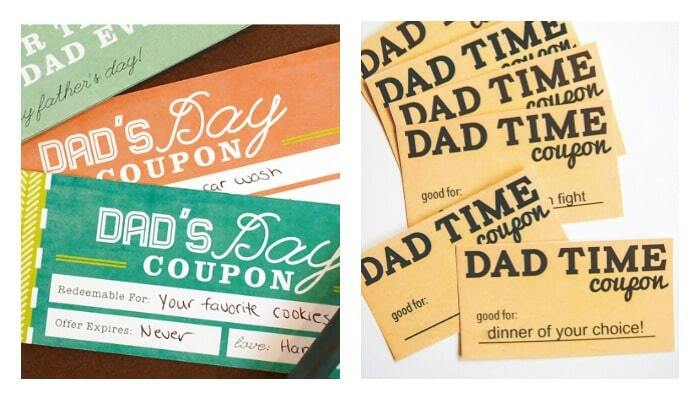 20 || Printable Time Spent with Dad, from West Valley City Moms Blog. 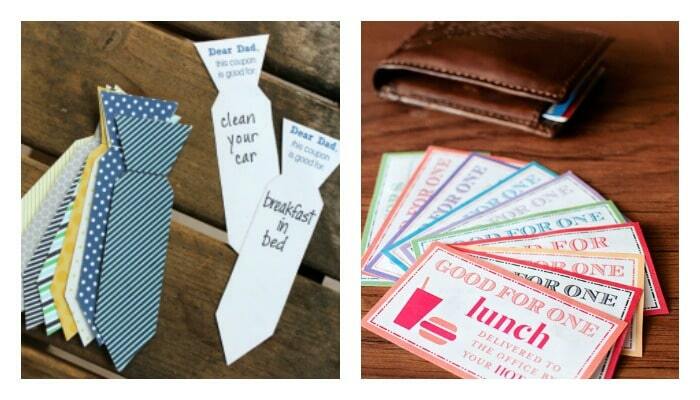 21 || Necktie Coupons, from Reasons to Skip the Housework. 22 || Wallet Surprise Coupons, from The Dating Divas. 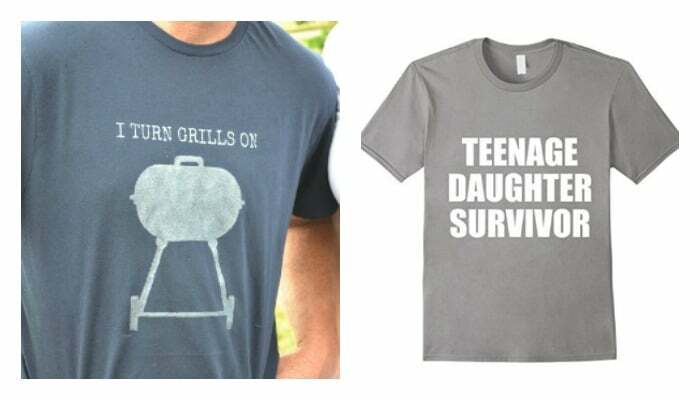 23 || Make your own Funny Father’s Day Shirt, from The Cards We Drew. 25 || Matching T Shirt and Onesie. 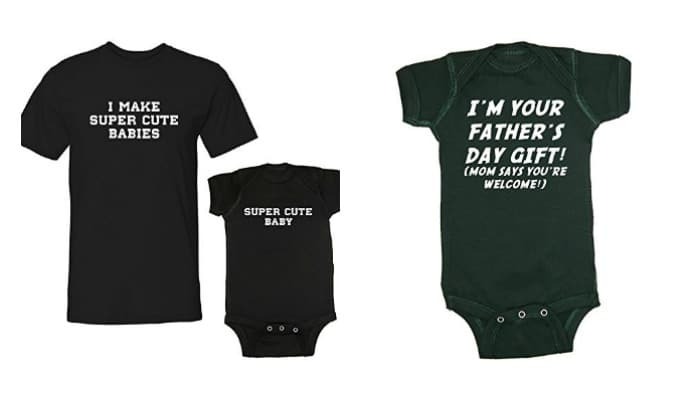 26 || Funny Father’s Day Onesie. 27 || Don’t forget about grandpa! 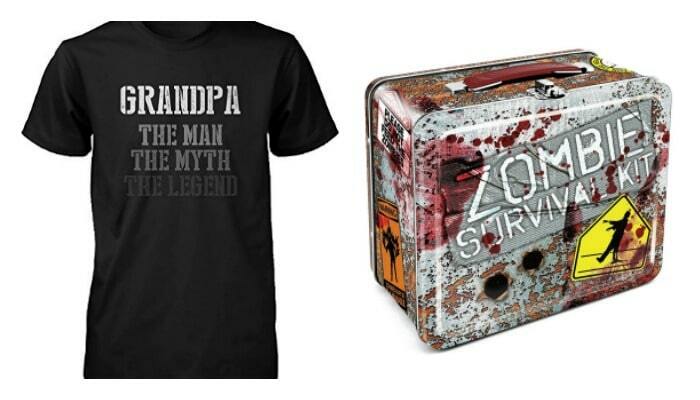 This grandpa shirt fits my dad’s personality perfectly! 29 || Funny Farter’s Day, I mean, Father’s Day Shirt. 30 || A WARNING to teenage boys shirt! 31 || Printable Calendar, from Artifact Uprising. 32 || Wood Panel Pictures from Walgreens. 33 || Father’s Day Canvas. 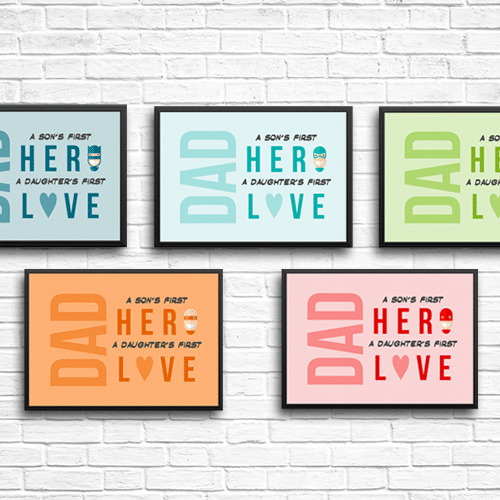 35 || Dad Printable – A Son’s First Hero, A Daughter’s First Love! 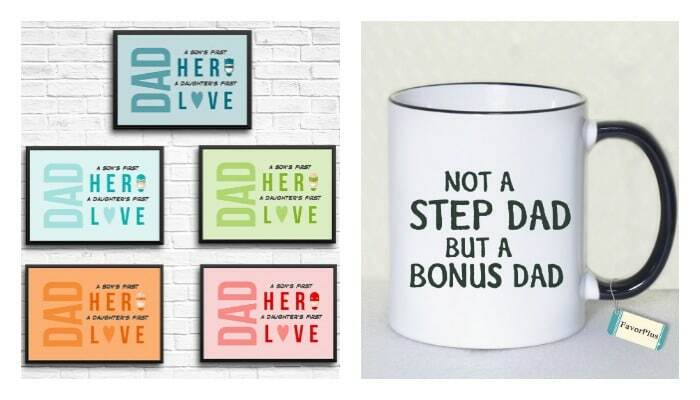 36 || Step Dad Gift for Father’s Day – A thoughtful mug! 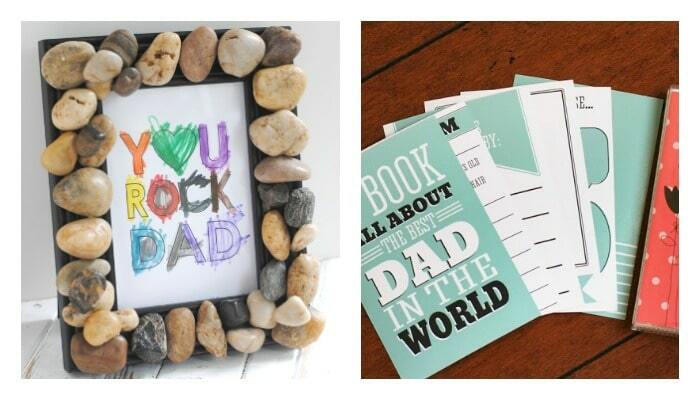 37 || You Rock Dad printable and frame idea, from Katarina’s Paperie. 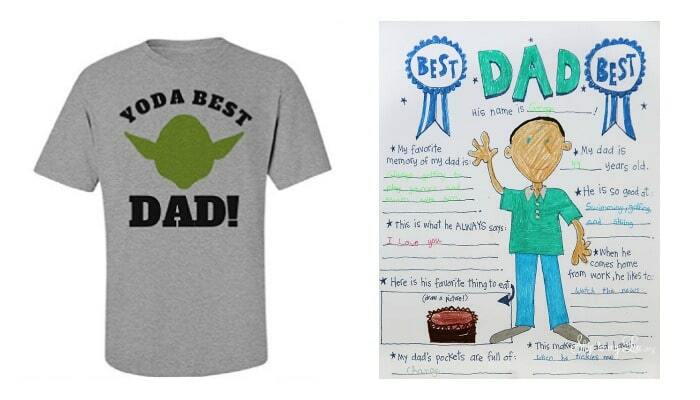 39 || Yoda Best Dad T Shirt. 40 || My Dad Printable, from Skip to My Lou. 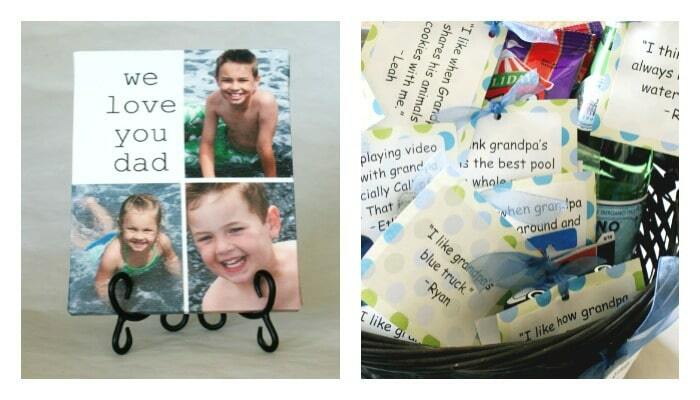 41 || All About My Dad printable, from 30 Handmade Days. 42 || Craft Stick Roll, from Michaels. 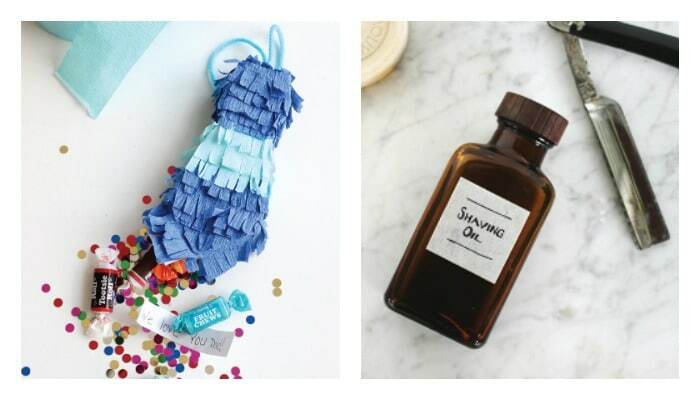 43 || DIY Mini Tie Pinata, from Inspiration Made Simple. 44 || Make Your Own Shave Oil, from The Merry Thought. 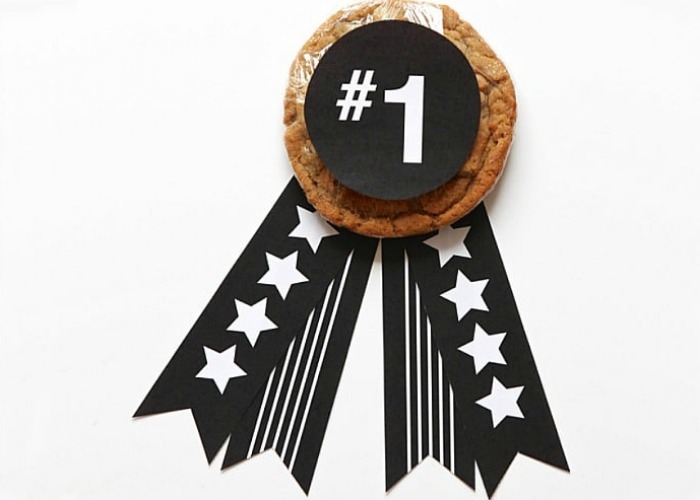 45 || Cookie Medal for Dad, from Paging Supermom. 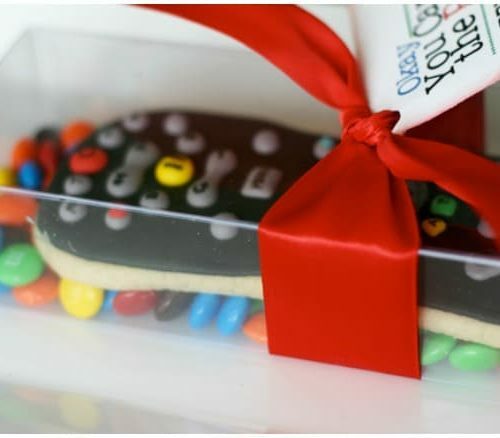 46 || Father’s Day Treat Gift Bag, from Marvelous Mommy. 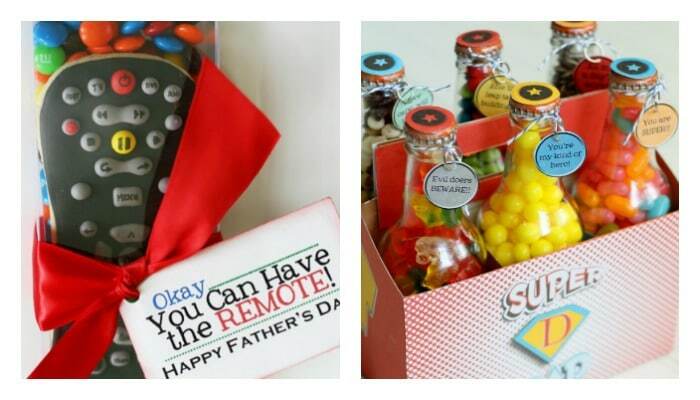 48 || Super Dad Soda Box, from Lil’ Luna. 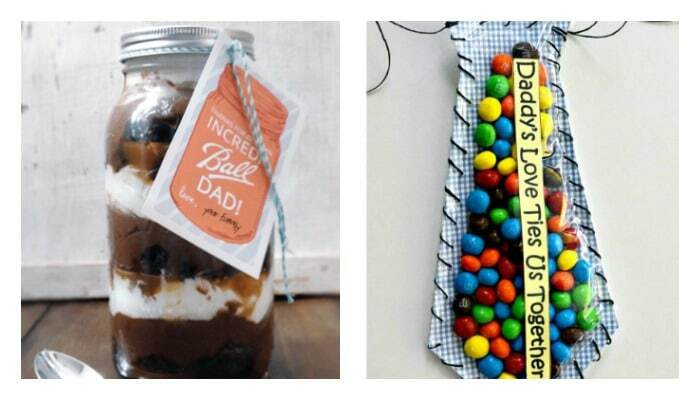 49 || Mason Jar Treat Gift Tags, from Somewhat Simple. 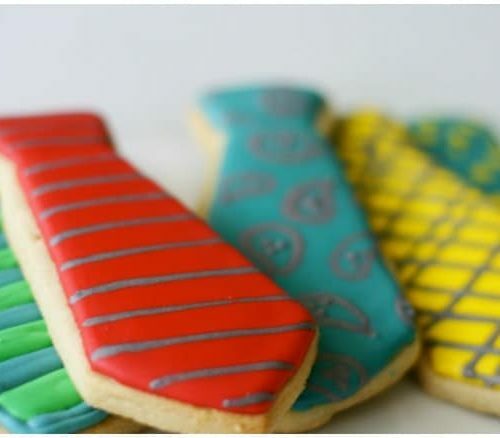 50 || Candy Tie Printable, from Die Cutter Designs. There you have it! 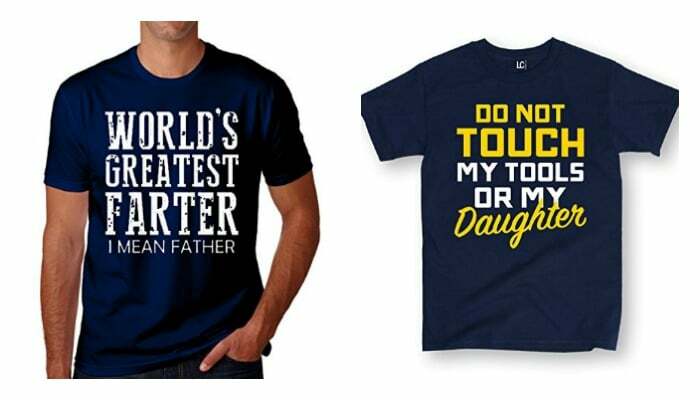 Aren’t those the best father’s day gifts? 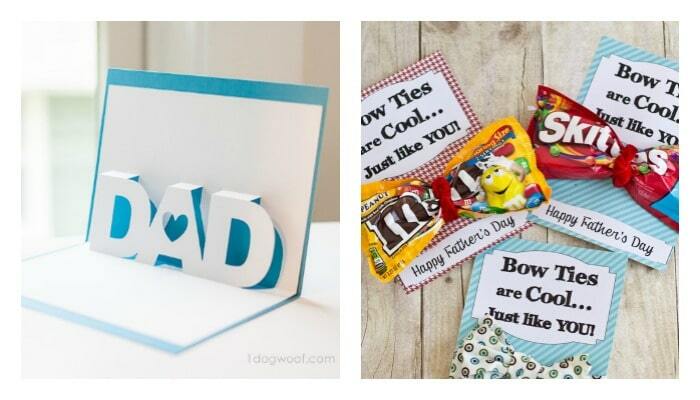 Whether you have time to plan make something fantastic, or you are in need of some last minute Fathers Day gifts, we sure hope you found what you’re looking for!